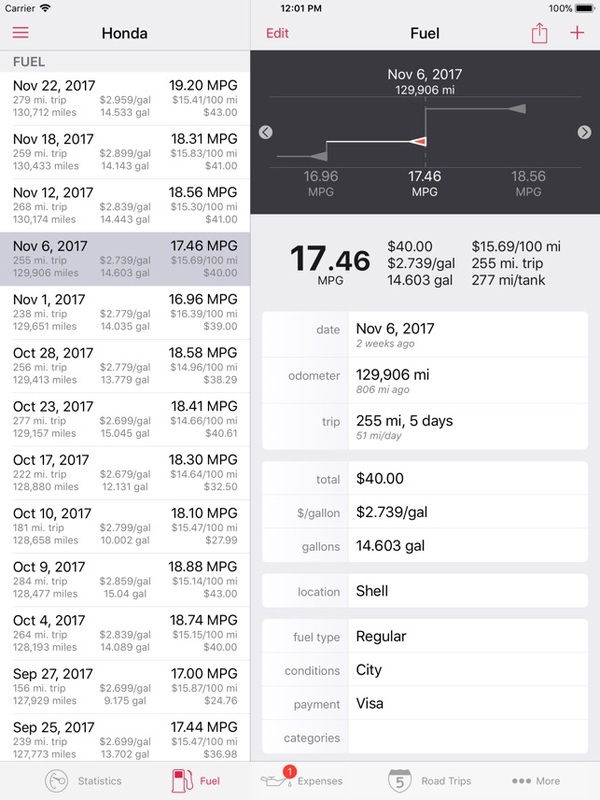 Road Trip HD is the fastest and easiest app for tracking of your car’s fuel economy, maintenance history, and expenses. Now available for the iPad! • Tire log, including support for summer and winter tires. 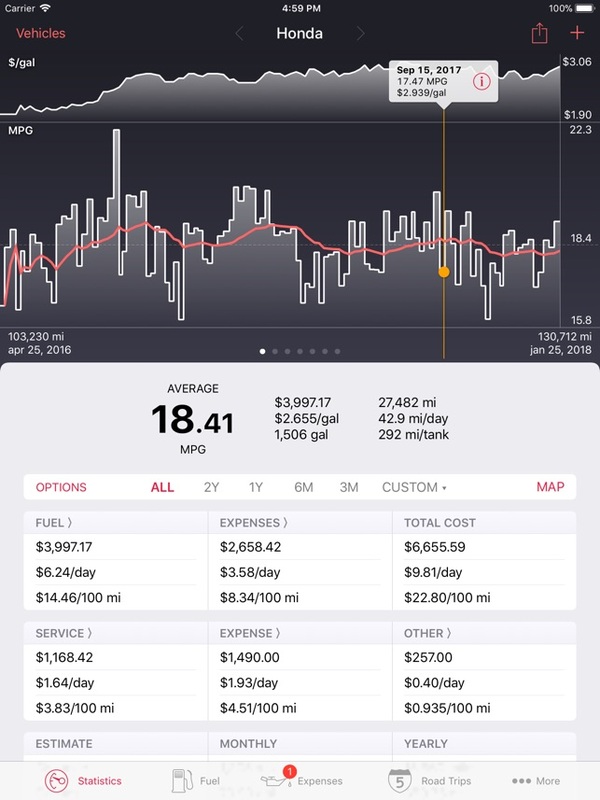 I've been using another app to track vehicle maintenance and fuel usage for several years. Now, that app is no longer available on the App Store and there is no support. So, I did some research and found Road Trip (MPG - iPhone, HD - iPad) to be the highest-rated of all the available comparable apps. Boy...I'm glad I did. First, I found the developer to be outstanding. I sent a help request and he responded in less than 10 minutes. Over the next couple of hours he assisted me getting the historical data for my 4 vehicles from my previously-used app imported into Road Trip. That's first-rate service! 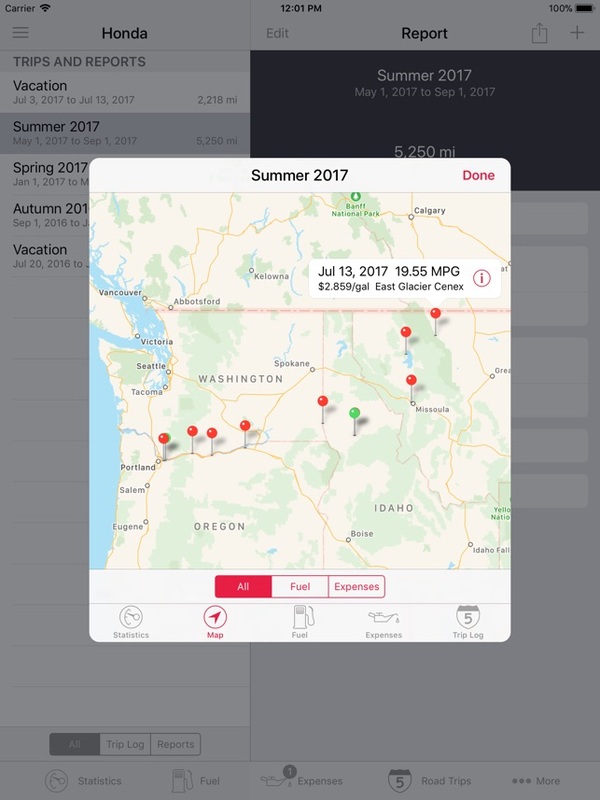 The layout of the app is nice and most importantly, the sync with Dropbox allows easy tracking of multiple vehicles on multiple IOS devices. This app and it's developer are outstanding! Buy with confidence! Love the App, been using it on my iPad for years, my only complaint is that purchase does not include the iPhone version. This makes putting in fuel and service purchases a bit of a nuisance and that I have to wait till I get home to input the data. I realise there is an iPhone version of this app, but I do not believe I should have to purchase the same app twice. 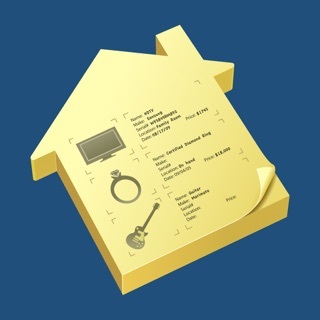 A minor improvement would be a “scanning” feature to save receipts in the app for warranty purposes. 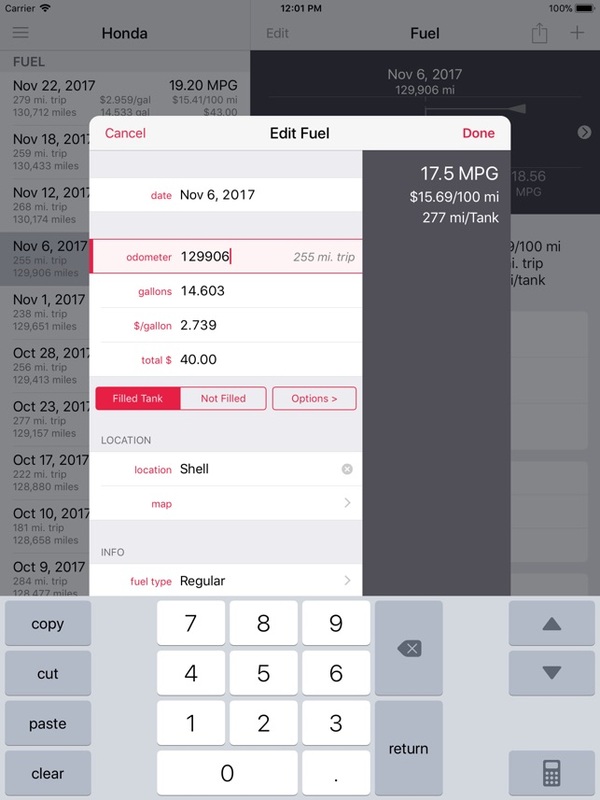 Not a major issue given that I presently use Documents by Readdle to scan and save all receipts, but having a feature like that in the app would put all the vehicle information in one area. I’ve been using this app for years to track my wife’s car and my car. 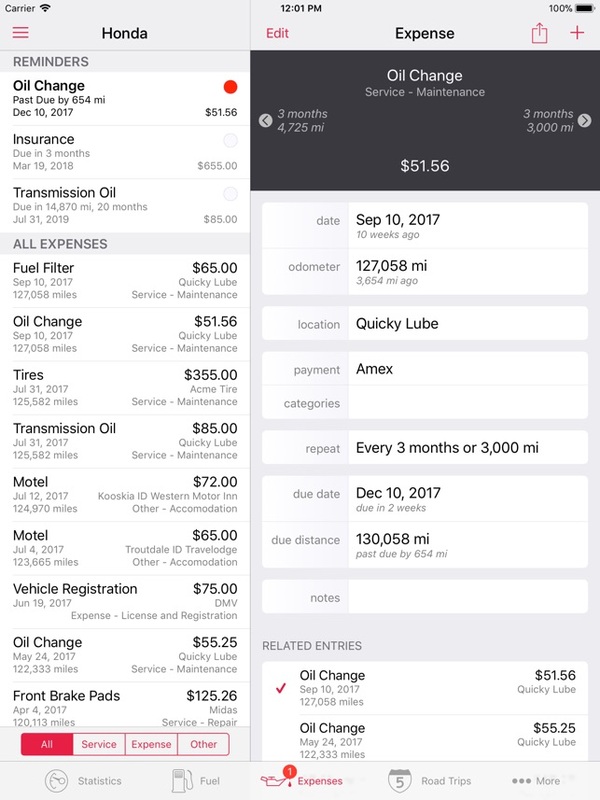 It’s helped me to save money at a mechanic when they recommend a service and all I need to do is consult my iPad (or iPhone). The downside is that the search function doesn’t touch the notes. So if you get 80,000 miles service completed, for example, you need to make a separate entry for each thing they do in order for it to pop up in search results. Since usually I go in for one thing at a time, that’s not that big of a deal for me.